Theddlethorpe Academy Shared Learning Afternoon. Alfie Black (7) with Nanny Dot Hesling and Mum Joanne Hesling. 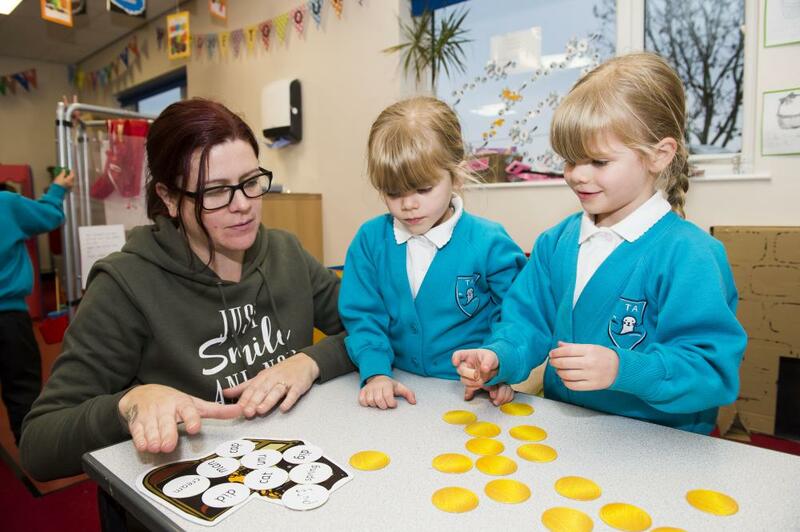 Mums and Dads returned to the classroom to enjoy a Shared Learning Afternoon with their children at Theddlethorpe Academy. Jace Hollingsworth (5) was joined by Mum Lauren Warner and Dad Martin Hollingsworth. Lauren said: "I really enjoy getting to work with Jace, and seeing what he's working on and meeting his friends at school." Twins Florence and Elsa Smith (4) enjoyed being with their Mum Katie for the afternoon. Florence said: "I like being around Mummy at school." Katie Tedford visited her son Charlie Travis, who is in Year 2. She said: "I love coming in. I finished work early to come in to the Academy. Charlie's brother Ollie is in Year 4 so it is nice to see them both." 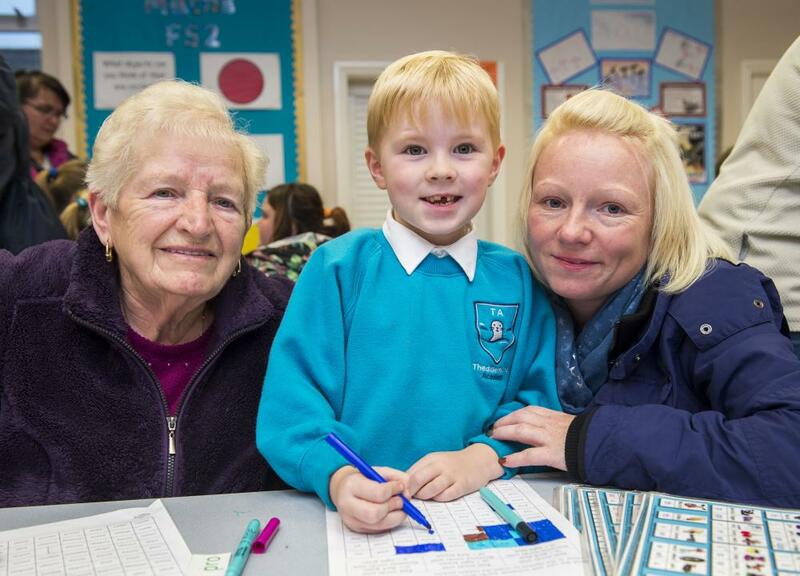 Year 2 pupil Alfie Black (7) welcomed his Mum Joanne Hesling and Nanny Dot Hesling. Joanne said: "It's been lovely. Alfie has been working hard. I am impressed with the quality of what he is working on." 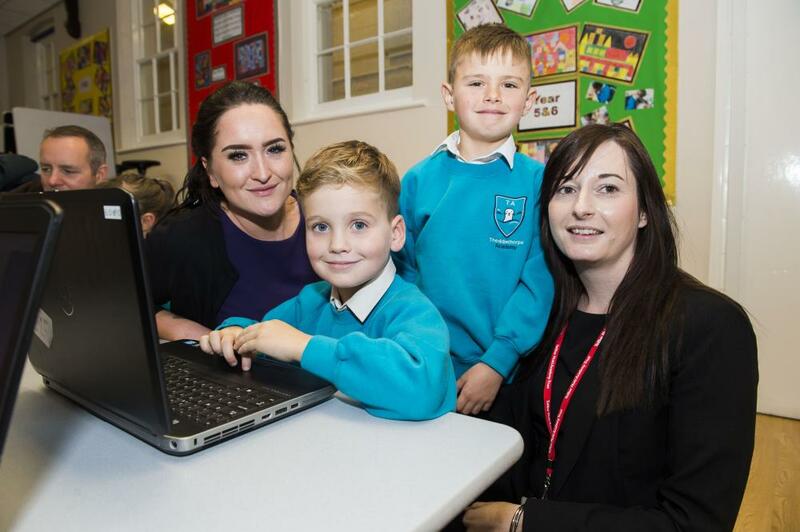 Academy Principal Rebecca Scott said: "Theddlethorpe Academy is a family and we work closely with parents and relatives, so it is lovely to be able to invite parents into school to see what their children are working on. These events are always welcomed by the children who love to share their achievements with those closest to them." 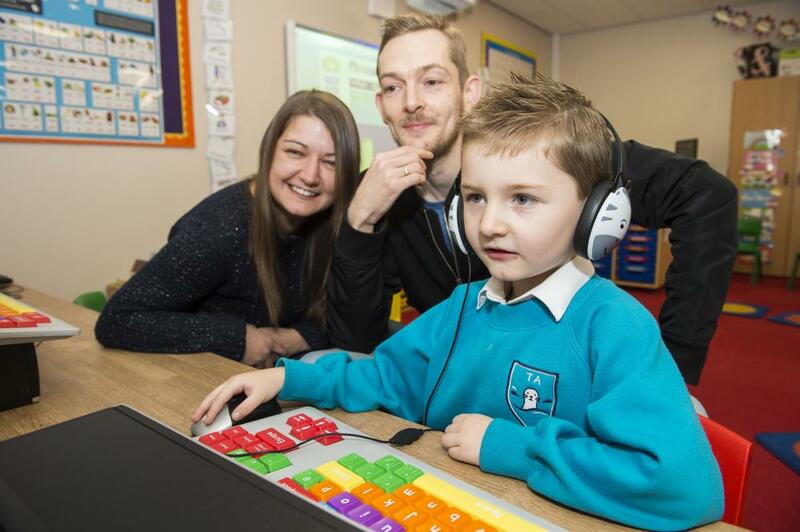 Jace Hollingsworth( 5) receives a visit from his mum and Dad, Lauren Warner and Martin Hollingsworth, during Theddlethorpe Academy Shared Learning Afternoon. Mum Katie Smith with her twins Florence and Elsa (both 4). Katie Tedford and son Charlie Travis (Year 2). Also pictured are pupil Levi McGrath and Theddlethorpe Academy Principal, Rebecca Scott.